Overall, I like the look of the new Tiger, it looks balanced and well thought out. Weight is not too high, not too much power, some well thought out accessories and as it seems also a price that makes sense. 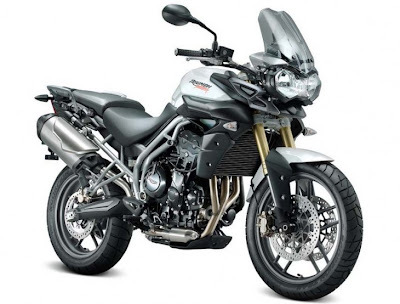 The US price is not announced yet, but I guess it will be slightly below the F800GS - not a bad idea to stay below as the BMW definitely have the advantage of the ridiculously high resale value that Triumph just can't match and therefore has to give a slight advantage from new. 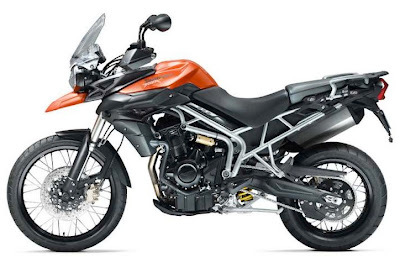 This seems to be a pretty good competitor for BMW's F650GS/F800GS series. Especially with the sweet triple engine that just smokes the twin and the boxer from BMW. Very unlikely we ever see those in Canada... but I like the small one, too. Almost screams 'Andrea's property'. The bike has a bit too much power and is not really lightweight either (95HP, 210kg). It might be quite a handful for Andrea. She totally loves her little DR200 - but will probably outgrow it pretty soon. We'll see what we do when this happens. Oh well, leaves more time to break in the Tiger until Andrea is ready. Did a little more research. I am hooked. The bike just made it on top of MY list, once I am ready to part with the F650. It would probably be a great bike for Andrea, but I think it's too much of a jump. 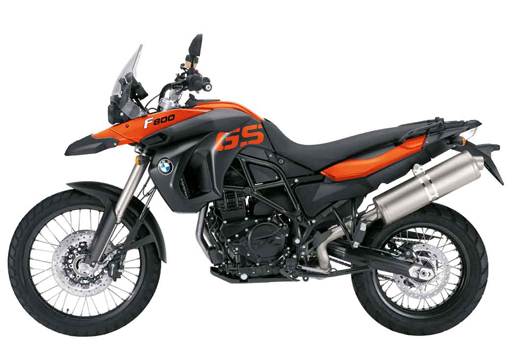 The F650GS single might be a better next step!